Welcome to The Tampa Home Team! Doug and I are the founders of The Tampa Home Team and it is our pleasure to be able to continue to serve the greater Tampa Bay area with its real estate needs for these past 15 years. Doug and I are both residents of Tampa and are well versed in all that Tampa and the surrounding counties of Hillsborough, Pasco and Pinellas have to offer being residents for 29 years and 15 years, respectively. We can share valuable insight into the myriad of aspects which comprise living and working in the Tampa Bay area, which can be helpful information to you in deciding what area / neighborhoods would work best for your needs and lifestyle and those of your family members. We know that in this changing real estate market, both Buyers and Sellers are faced with unique challenges that make it important to call on the expertise of an experienced agent and team that can provide you with comprehensive, up to the minute information on homes, neighborhoods and other relevant information to your real estate purchase or your decision to sell. Together we offer over 24 years of combined real estate experience; and our team together offers over 38 years of combined experience specializing in residential sales, new construction, investment properties and land. As fast paced, high-tech agents, our goal is to elevate the real estate process to an exceptional level by providing Excellence in Customer Service, Market Knowledge, Integrity and Results. Since buying or selling a home is one of the most important events in your life, you can be assured that we will walk with you every step of the way. As your trusted real estate professional in purchasing a home, we will help you find the best home possible in your area of interest, within your price range and negotiate the best deal possible. As your trusted Advisor, Skilled negotiator and Expert Facilitator, you can rely on our expertise to take the worry out of the transaction and make it an enjoyable experience. If you are looking to sell your home, we will work together to sell your home as quickly as possible for as much as the market will bear. We will formulate a customized marketing strategy to position your home with a competitive edge in the marketplace using current market data about your neighborhood and local area. As your expert facilitator we will work with you through the negotiating and closing process for a smooth transition of ownership. There is no need to settle for less in a real estate professional ~~ when you look to Buy or Sell ~~ turn to The Tampa Home Team for fast results! We look forward to going to work for you. The Tampa Home Team is well-known throughout the Greater Tampa Bay Area for providing excellent real estate services to area residents. For more than 15 years, the Tampa Home Team has touched the lives of buyers and sellers in Tampa and the surrounding counties of Hillsborough, Pasco and Pinellas. The key to the team's success is found in the hearts and minds of team proprietors Sharlene Woodis and Doug Katulich, who have forged the team's reputation through their hard work and dedication to providing excellent customer service. 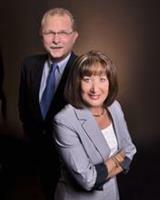 Together, Woodis and Katulich boast more than 44 years of combined residential experience in the Tampa Bay Area. With that much expertise, it is no wonder, the team is able to provide such valuable insights into the inner workings of the region. The Tampa Home Team possesses a deep area understanding of what it means to live and work with Tampa Bay's vast residential territory. In addition, Woodis and Katulich are able to help home buyers make informed decisions about what areas and neighborhoods will best work in meeting their lifestyle and individual needs. The Tampa Home Team offers area buyers and sellers over 24 years of combined real estate experience, and more than 38 years of combined experience in residential sales, new home construction, land, and investment properties. The team of real estate professionals provides excellent customer service, advanced market knowledge, a name with integrity, and a reputation for getting results. Sharlene Woodis is proud to be the Team Leader for The Tampa Home Team. With more than 15 years of real estate experience in the Tampa Bay Area, Sharlene Woodis is known by colleagues and clients for her steadfast dedication, professionalism, attention to detail, and ability to get the job done. Sharlene currently works with a team of fast-paced multi-million dollar producers in the tri-county area of Hillsborough, Pasco and Pinellas counties. Although Sharlene works mostly within the Tampa Bay Area she has worked with clients as far south as Sarasota. Doug Katulich's extensive sales experience is an invaluable asset to The Tampa Home Team. With more than 14 years of Tampa Bay Area real estate experience, Doug Katulich is a consummate professional and an important member of highly motivated team. Doug Katulich specializes in first time home buyers, buyer representation, short sales, foreclosures, REO's, investment properties, and new home sales.